Many Americans supporting the bombing of Agrabah. 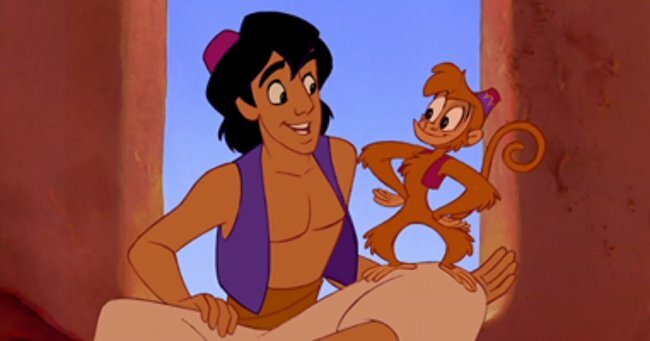 A lot of Americans want to bomb the fictional city of Agrabah. Almost 30 per cent of Republican voters support the bombing of Agrabah. Except, for those of you who don’t know, Agrabah is the fictional kingdom that the Disney classic, Aladdin, is set in. Yep, the movie with the blue genie, Princess Jasmine and everybody’s favourite tiger, Rajah. The survey, conducted by Democratic polling firm Public Policy Polling, found that only 13 per cent of Republicans would save the kingdom, while 36 per cent of Democrats would not bomb the enchanting city. This means a whole to of Americans are more than happy to bomb a city that remotely sounds like it may be Islamic, even if it is a made up, animated city with magic flying carpets and lots of singing. The same survey also found that 54 per cent support Republican frontrunner Donald Trump’s proposal to ban Muslims from entering the US, and almost half believe there should be a database of Muslims in the US. Another quarter of those polled believe Islam should be illegal. Trump has been widely criticised for his attitudes towards the Muslim community, even by members of his own party. Yet, it seems his policies really connect with many voters.